This week is Spirit Week at school leading up to the big Halloween Bash and Walk-A-Thon on Friday. Monday was inside out and backwards day; Jack wanted to wear his pants backwards, but I convinced him it made going potty difficult and inside out would be good enough. Tuesday was sports day and he wore his San Jose Sharks jersey. 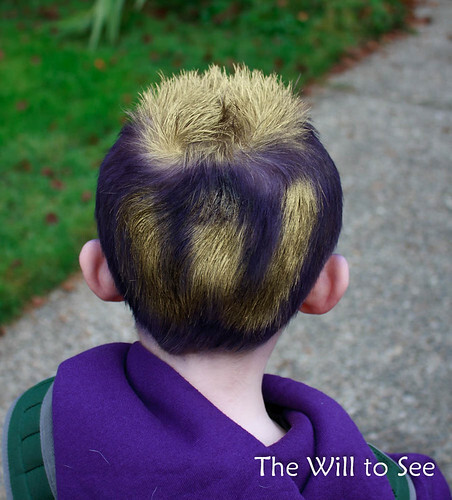 Today was crazy hair day and he decided he wanted it to be purple and gold with a big W. He even wanted a small W on his forehead, but that was to hard to fit it in. Maybe next year. 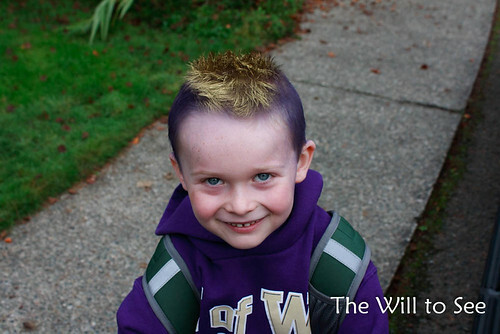 This is some good Husky spirit, hopefully it will bring the team some good mojo this weekend. 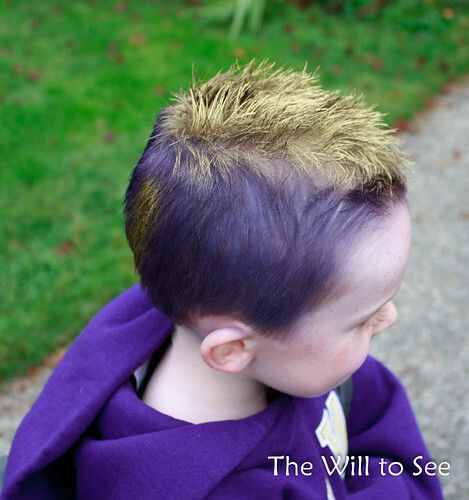 Linking up with Wordless Wednesday at Project Alicia and And Then She Snapped.